Are you looking for a locally owned and operated home cleaning service that genuinely cares about you? Then look no further, You've Got Maids of Howard County is the maid service you've been waiting for! 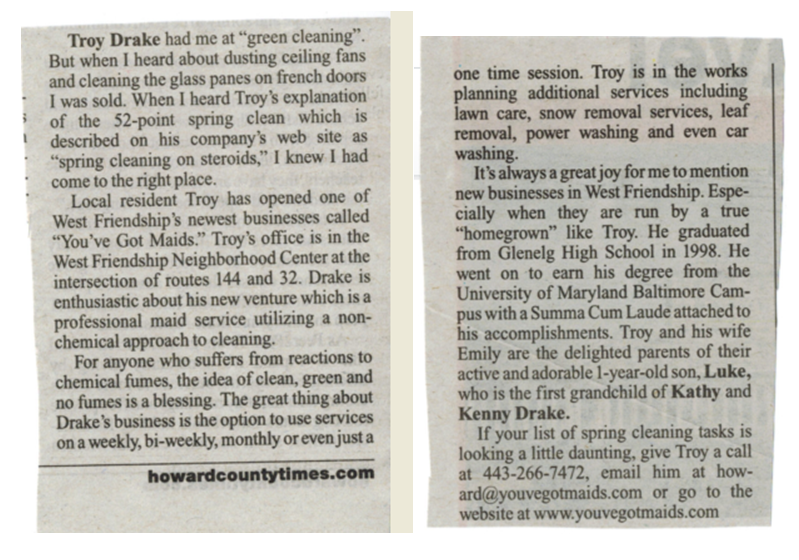 Here's a Howard County Times mention for Troy Drakes You've Got MAIDS of Howard County. Troys office provide quality house cleaning in Columbia, Ellicott City, Clarksville, West Friendship, Marriotttsville MD, Central Maryland, & Sykesville.